Four Guardians: A Principled Agent View of American Civil-Military Relations. Jeff Donnithorne. Baltimore, MD: Johns Hopkins University Press, 2018. Scholars of civil-military relations sometimes have a bad habit of grounding their debates in the theories of the past instead of revising those theories or developing more appropriate frameworks that could inform our understanding of the recent past and prepare us for the future. In his recent book, Four Guardians: A Principled Agent View of American Civil-Military Relations, however, Jeff Donnithorne attempts to buck that trend by introducing a new theoretical model that incorporates a more accurate depiction of the U.S. armed services and introduces original insights about the policymaking process. Four Guardians is a laudable effort that should be carefully and widely read by scholars and practitioners of civil-military relations. This ambitious project attempts not only to explore the impact that each distinct military service culture will have on civil-military relations, but also to extend and re-imagine one of the most prominent theories in the field, Peter Feaver's Principal-Agent framework. 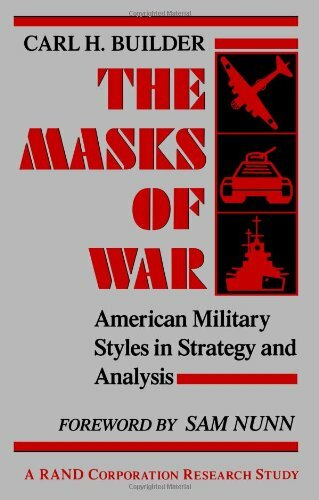 In the former effort, Donnithorne succeeds in sketching portraits of the services that rival—and in some ways exceed—the accounts in Carl Builder’s classic work, The Masks of War and in RAND’s excellent new report, Movement and Maneuver: Culture and the Competition for Influence Among the U.S. Military Services. In the latter, he offers a sharp and insightful critique of Feaver’s Principal-Agent framework and introduces several fresh theoretical concepts future scholars must take into account. However, Donnithorne never fully integrates these two broad concepts into a coherent whole, and the rigor of the research design does not match the merit of the book’s theoretical critique. As a result, some of the central claims in Four Guardians remain underdeveloped and untested, and I am left wishing Donnithorne had seized the opportunity to more fully develop his ideas into two separate, and perhaps extraordinary, volumes instead of settling for one merely impressive contribution. The unambiguous strength of Four Guardians is the detailed depictions of the U.S. service cultures Donnithorne provides in the second through fifth chapters of the book. If you are a civilian heading to work at the Pentagon or alongside American service members, or if you are a service member preparing to serve in a joint environment, at a minimum you should read this section of the book. In four separate chapters, Donnithorne presents composite accounts of how members of each of the U.S. armed services—the Navy, Marine Corps, Army, and Air Force—see themselves and their role in the policy-making process. Organized around what he sees as their five or six most salient beliefs, Donnithorne outlines what each service tends to believe about its preferred ends, ways, and means, as well as how the circumstances of each service’s unique historical development have shaped these beliefs. According to Donnithorne, “These chapters do not reveal new historical facts exhumed from declassified archives; instead they arrange old ideas in new ways.” However, his arrangements are so masterfully curated as to represent a significant contribution to the literature, and they never devolve into caricatures. Only a small handful of his claims seem incorrect or imprecise. George Marshall, David Petraeus, and nine out of nineteen of the Chairmen of the Joint Chiefs of Staff, for example, might be surprised by Donnithorne’s suggestion that the Army officer mentality is “out of place in Washington,” but a more targeted claim about differences in how the services approach the budget process might be more apt. Nevertheless, the portraits these four chapters present exceed those Carl Builder captured in terms of their concise and accurate description of key differences in the military service cultures. Where Donnithorne is less rigorous than Builder is in his examination of how service cultures shape the behavior of senior officers in the context of high-level civil-military relations and the implications and conflicts these cultural differences prompt. In part, these minor deficiencies are a problem of both too much and too little ambition. By embarking on a project to explore both service culture and to extend the Principal-Agent framework, Donnithorne leaves himself too little room to develop either set of ideas as fully as they deserve. This shows in Donnithorne’s selection of a dependent variable: “the behavior of a military service while advising on a policy issue or while carrying out a settled decision.” By focusing on individual service behavior rather than on civil-military outcomes such as the extent of civilian control or the effectiveness national security policy, Donnithorne leaves unaddressed consequential questions. When and why will services come into conflict? How will civilians respond when faced with different types of advice? How might service cultures interact differently across different problem sets (e.g., budgets, institutional policy, use of force decisions, or operational issues)? Do divergent service cultures contribute to or hinder effective national security policy? As a result, even if Donnithorne were to demonstrate the services behave in predictably different ways, he does not wrestle with the question of whether these differences influence the outcomes we care about most. Four Guardians also is infused with a normative assertion that professional officers are “principled agents” because they act in accordance with service cultures rather than self-interest. This assumption often leaves Donnithorne blind to the possibility service cultures also may contain corrosive or toxic aspects harmful to civil-military relations. It also masks the possibility that even officers acting in accordance with principled service cultures may contribute to sub-optimal policies if those cultures are not appropriate to the problems they face. Principled agents may not be a good thing if the underlying principles are the wrong principles, and Donnithorne devotes little, if any, time to reflecting on this possibility. Ignores the number and diverse preferences of the unique agents on the military side—the four services. A service dimension to account for varying preferences. Although others have raised these concerns to varying degrees before, Donnithorne offers several fresh and insightful ideas that will help refine future theoretical models. The most important of Donnithorne’s theoretical contributions is his recognition that, during the advisory phase, policymakers and military leaders bargain not only over the substance of a particular policy, but also over what he calls “implementation slack,” the extent of the civilian monitoring regime and the military’s autonomy to implement a given policy. As Donnithorne recognizes, expectations about the potential outcome of a policy decision also shape negotiations during the advisory process. Again, however, Donnithorne’s ambition for breadth appears to have hindered his ability to explore this concept in the depth it deserves. When, for example, might civilians be willing to grant the military more implementation slack—maneuver room for military leaders to implement a policy decision as they see fit—in exchange for military acceptance of a given policy? Are debates over resource levels separate from discussions over implementation slack or are they part of them? When might military leaders press civilian leaders for more slack or resources in exchange for open support of a policy, and what are the normative implications of the military having this type of power during the bargaining process? As these questions suggest, Four Guardians largely presents civil-military relations as an elite-driven process, and Donnithorne makes little effort to engage with the literature on how public deference may complicate civil-military dynamics during the policy-making process. Donnithorne’s focus on policy coherence in the contextual dimension—which for him entails clarity, consistency, and feasibility—is also a useful innovation, but he doesn’t completely explore how a lack of coherence might interact with considerations on the temporal dimension. To a large degree, this oversight is due to Donnithorne’s insistence that the U.S. military is never really concerned with “whether to comply, but rather how to do so.” In the real world, however, senior military officers sometimes do want to avoid missions they view as ill-advised or as an inappropriate use of military resources. Even if we concede that American military officers will salute and obey when given a lawful order, this does not obviate the concern that civilians may fear that military officers may not fully comply with those orders or support a policy in public. Donnithorne offers an important rhetorical corrective by asking, “If an agent is asked to do the impossible and comes up short, is shirking a fair verdict?” His own solution, however, may err too far in the other direction by assuming it is not possible that military leaders would ever shirk or play an obstructionist role during the advisory process. Some theoretical confusion also stems from Donnithorne’s attempt to jam together a rationalist model of civil-military interaction with a behavioralist approach about service cultures, without reconciling the inconsistencies. Feaver’s Agency Theory rests on assumptions about the self-interested behavior of military agents and uses a dependent variable of military compliance with civilian preferences. But Donnithorne never mentions the discrepancies that result from using both different assumptions than Feaver does—about how culture shapes the behavior of the services—and a different dependent variable than Feaver does—the behavior of the military services when advising or implementing policy, much less attempt to resolve them. This point is significant for at least one crucial reason. By ignoring the rationalist underpinnings of the Principal-Agent framework, Donnithorne fails to explore how having multiple services with divergent preferences would change strategic interaction between civilian leaders and the military services. For example, are civilians able to pit military services against one another during the advisory process? Or, is it easier for the services to avoid oversight during the implementation phase? Does the policymaking process change when service preferences are more aligned or more divergent? And when or on what types of issues should we expect to see these differences? Since the principled-agents theory is focused on explaining service behavior as its dependent variable, a more complete integration of service culture and Principal-Agent theory also would have developed the observable implications of these interactions in greater detail. How, for example, will the Army and Navy think about implementation slack during the advisory phase? And how will the Air Force and Marine Corps respond differently to different levels of policy coherence, both during the advisory phase and during policy implementation? Although Donnithorne attempts to lay out general predictions related to service preferences in his case study chapters, they include no indication of how service cultures interact with the other two dimensions of his model or with each other. Additionally, Donnithorne’s insistence on including service culture to his more general theory means that, unlike Feaver’s theory, principled-agent theory has no application outside of a U.S. context. Passage of the Goldwater-Nichols Act. In many ways, however, these cases serve more as illustrations of Donnithorne’s theoretical predictions than as true empirical tests of the Principled-Agent Model. By his own admission, Donnithorne concedes the Rapid Deployment Joint Task Force case, in particular, “usefully complicates a traditional understanding of military compliance and civilian control.” Moreover, both cases examine inter-service debates about the establishment of new joint organizational structures more than three decades ago. While these are useful cases to demonstrate how services might differ, they are not necessarily a sufficient test of whether service preferences actually differ on issues where jointness itself is not directly an issue. When it finally passed, the act made the chairman of the Joint Chiefs of Staff (CJCS) the principal military advisor to the president, created the position of vice chairman, took steps to enhance the quality of officers assigned to the Joint Staff, and strengthened the authority of the unified and specified commanders over their service components. These provisions endure, casting a long shadow over modern military history. In other words, the Goldwater-Nichols Act reduced the power of the service components to their lowest levels in the modern era. Yet, there is no discussion of the implications this landmark act might have on the book’s central thesis that varying service cultures have an important impact on American civil-military relations. Nor does Four Guardians explore any cases after 1986 that might shed light on whether the hypotheses of Donnithorne’s theory survived these seismic changes. At the same time, the case studies themselves are exceptional. Donnithorne’s careful and thorough analysis greatly enhances our understanding of how and why these institutional changes occurred, and deepens our comprehension of the roles the services played in these debates. His exploration of the development of the Rapid Deployment Joint Task Force, in particular, adds to our understanding of how the United States military adapted to address emerging threats in the Middle East and how those decisions shaped the subsequent evolution of United States Central Command and national security policy in the region. In addition, these cases illustrate the plausibility of implementation slack as an important concept that influences both policy implementation after a decision has been made, and the civil-military bargaining process that occurs before a final decision takes place. Although it often sacrifices breadth for depth, Four Guardians is an important contribution to the civil-military relations literature. In a practical sense, it introduces the most comprehensive and accessible portraits of the Army, Navy, Air Force, and Marines that exist today. This addition alone would make this book well worth reading for defense practitioners. But Donnithorne also introduces several innovative theoretical concepts that future scholars should consider in their work. Although the principled-agent approach falls short as a coherent theoretical model, Four Guardians should be judged more by the impact the concepts it introduces will have on future work than on the applicability of principled-agent theory or the answers it provides in its own pages. Donnithorne’s book has immense potential to inspire scholars to ask new questions and produce many more volumes than the two books this one should have been. In that regard, Donnithorne has succeeded in helping civil-military scholars free themselves from the grasp of the same old theoretical models. Jim Golby is a U.S. Army Strategist. He previously served as a Special Advisor to the Vice President of the United States and as a Special Assistant to the Chairman of the Joint Chiefs of Staff. These views expressed are the author’s and do not reflect the official position of the U.S. Army, the Department of Defense, the U.S. Mission to NATO, or the U.S. Government. More than fifty years after their publication, Samuel Huntingon’s The Soldier and the State and Morris Janowitz’s The Professional Soldier continue to dominate the field. See for example, Feaver, Peter D. "The civil-military problematique: Huntington, Janowitz, and the question of civilian control." Armed Forces & Society 23, no. 2 (1996): 149-178; Nielsen, Suzanne C., and Don M. Snider, eds. American civil-military relations: The soldier and the state in a new era. JHU Press, 2009; Nielsen, Suzanne C. "American civil—military relations today: the continuing relevance of Samuel P. Huntington's The soldier and the state." International Affairs 88, no. 2 (2012): 369-376; Moskos, Charles C., John Allen Williams, and David R. Segal, eds. The postmodern military: Armed forces after the Cold War. Oxford University Press on Demand, 2000. Huntington’s theory of “objective control,” in particular, has been applied to every region of the world, and is the starting point for almost all discussions of American civil-military relations. Even notable exceptions that have advanced innovative theoretical contributions almost always begin as an argument with Huntington’s theory. 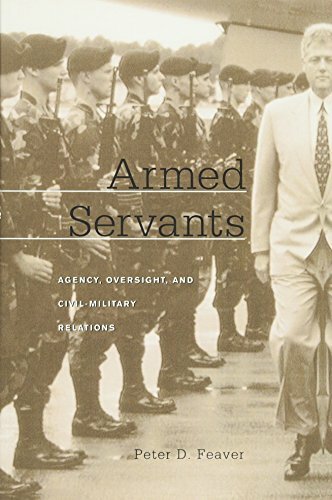 For examples, see Feaver, Peter D. Armed servants: Agency, oversight, and civil-military relations. Harvard University Press, 2009; Desch, Michael C. "Soldiers, states, and structures: The end of the Cold War and weakening US civilian control." Armed Forces & Society 24, no. 3 (1998): 389-405; and Brooks, Risa A., and Risa Brooks. Shaping strategy: the civil-military politics of strategic assessment. Princeton University Press, 2008. 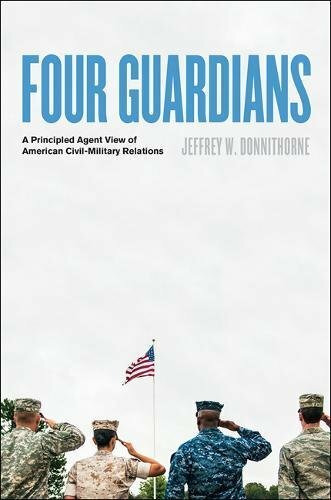 Jeffrey W. Donnithorne, Four Guardians: A Principled Agent View of American Civil-Military Relations, (Baltimore, JHU Press, 2018), 39. Brooks, Shaping Strategy; Christopher Gibson and Don Snider. 1999. “Civil-Military Relations and the Potential to Influence: A Look at the National Security Decision-Making Process.” Armed Forces and Society 25(2): 193-218; James Golby, "Duty, Honor... Party? Ideology, Institutions, and the Use of Military Force." PhD diss., Stanford University, 2011; Thomas Sheppard and Bryan Groves. Post-9/11 Civil-Military Relations: Room for Improvement. Air University, Maxwell Air Force Base, AL, Strategic Studies Quarterly, 2015. See, for example, Peter Feaver, and Christopher Gelpi. Choosing your battles: American civil-military relations and the use of force. Princeton University Press, 2011; Jame Golby, Peter Feaver, and Kyle Dropp. "Elite military cues and public opinion about the use of military force." Armed Forces & Society 44, no. 1 (2018): 44-71; Nadia Schadlow. “Public Opinion and the Making of Wartime Strategies.” In Warriors & Citizens: American Views of Our Military, edited by Kori Schake, Kori and James Mattis, Stanford, CA: Hoover Institution Press, 2016; James Golby and Mara Karlin. "Why “best military advice” is bad for the military—And worse for civilians." Orbis 62, no. 1 (2018): 137-153; and Ronald Krebs, Robert Ralston, and Aaron Rapport, “Americans’ Blind Faith in the Military is Dangerous,” Foreign Policy, December 8, 2018, https://foreignpolicy.com/2018/12/03/americans-blind-faith-in-the-military-is-dangerous-civilian-oversight-deference-mcraven-trump/.